The skincare routine is the only routine I believe every woman should do her ultimate best to perfect. Based on your skincare conditions, especially as a brown girl, understanding what your skin needs, how it reacts (to your environment, specific foods, etc), and how to keep it healthy and treated is extremely important. While I’ve never experienced harsh skin conditions, I’ve always taken skincare seriously. It’s been apart of my girly regimen since high school. Fridays, I would come home and do my Apricot scrub (I dare not use that now, sorry, no offense), my moisture mask and mommy’s vitamin-E cream. Simple, but relaxing and effective. As I’ve grown, I’ve learned from other brown women like Tricia Lee and Lauren Napier of steps and tips that have helped me improve my skin’s glow and texture. Here I share my simple, eh, skincare routine. It involves some high priced items, so I’ll share dupes below the post that offer me that same benefits at a lower price point. I begin with Lauren Napier FLAUNT makeup wipes to gently remove the topical makeup and/or environmental debris from my skin. They’re gentle and #BLACKOWNED by one of the baddest black girls on the Gram’ from Houston. 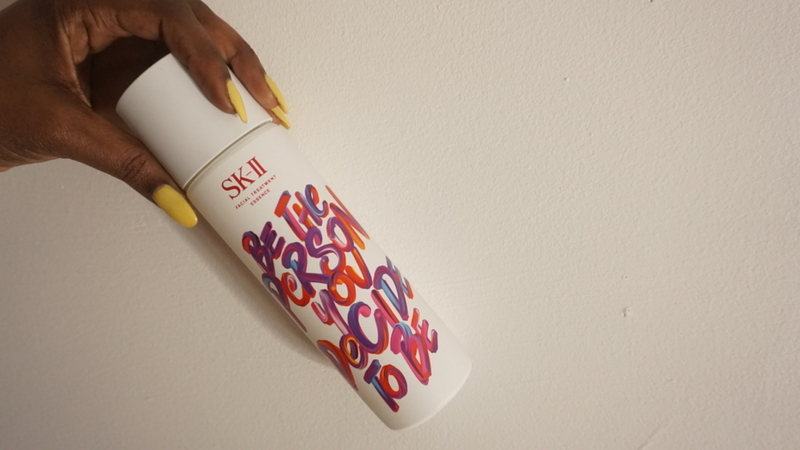 Then I go on to my Facial Treatment Cleansing oil by SKII. Following this step, I use Dr. Barbara Sturm and Angela Bassett’s Enzyme Skin of Color cleanser powder. It lasts long and is worth the $75 investment. You just need a dime size (seen in the video) and a drop of water to create the right consistency. Apply to your face for a gentle, deep cleanse and rinse thoroughly. Think toner is a joke? Think again. It helps to restore the ph balance in your skin and pick up anything left over on your skin that maybe your cleanser didn’t get the last of. I’m using SKII’s Treatment Essence. 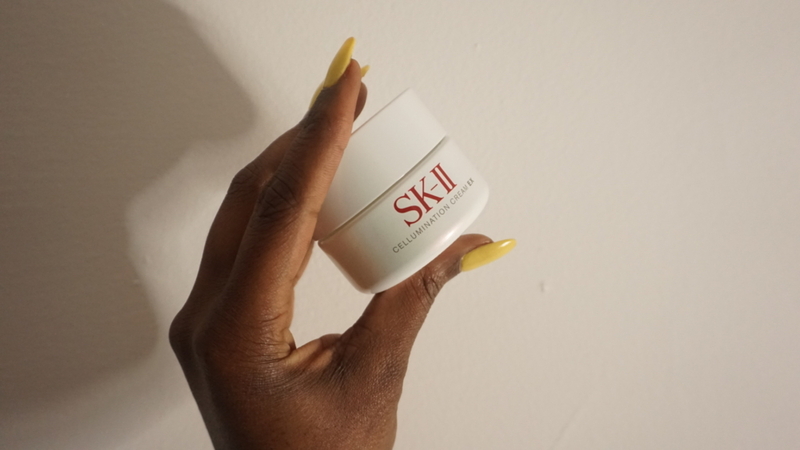 I then add a dime size (or sometimes a bit more) of my SKII Cellumination Cream and finish up with the SKII Ultimate Revival Eye Cream. Sometimes I’ll use my Kiehl’s Calendula Deep Cleansing Foaming Face Wash gel cleanser and my Foreo for a massaging deep cleanse, in replace of the powder cleanser. Just depends on my mood and the condition my skin has been in. If I’ve been wearing tons of makeup, or spending a lot of time out and about, or getting very little sleep, I head straight to the Kiehl’s and Foreo combination to give my skin a fresh start. BB fam, what is your skincare go to? Do you think a simplified skincare routine is better? Let me know in the comments.